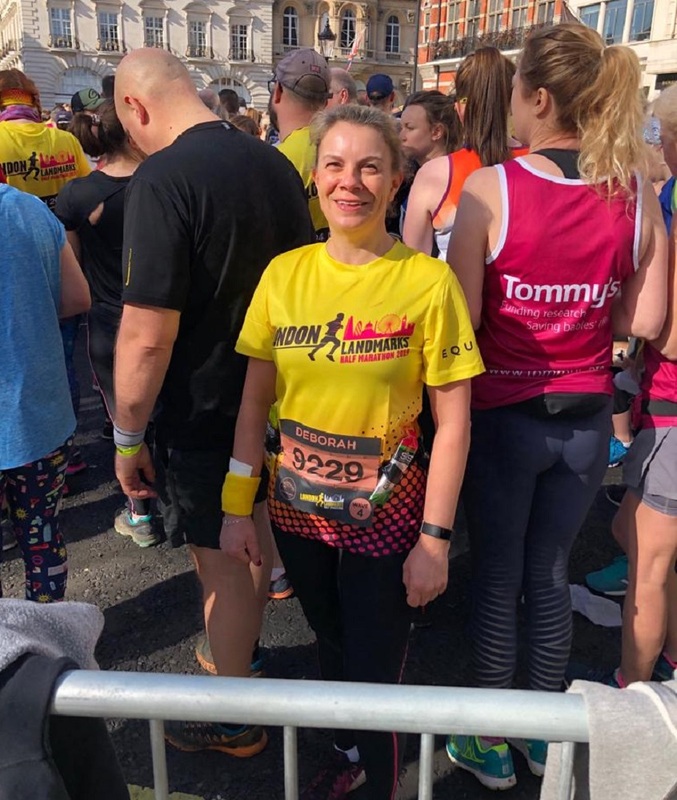 On Sunday 24th March I joined 13,000 runners who took to the streets of the City of London and the City of Westminster to run the second London Landmarks Half Marathon. While not my first half marathon it was my first London Landmarks Half and the best half marathon to date. Such a fantastic event around some of the best parts of London with interesting events and huge support from the entertainers and crowds. The event is owned and managed by Tommy’s the baby charity is a major fundraising event. It exceeded its £6m fundraising target, surpassing last year’s total and benefiting over 180 charities across the UK. The route also unearthed the hidden highlights of the city, with an emphasis on historical and cultural gems such as Dr Johnson’s house – the creator of the English Dictionary, Postman’s Park celebrating London’s postal history and the Bow Bells. 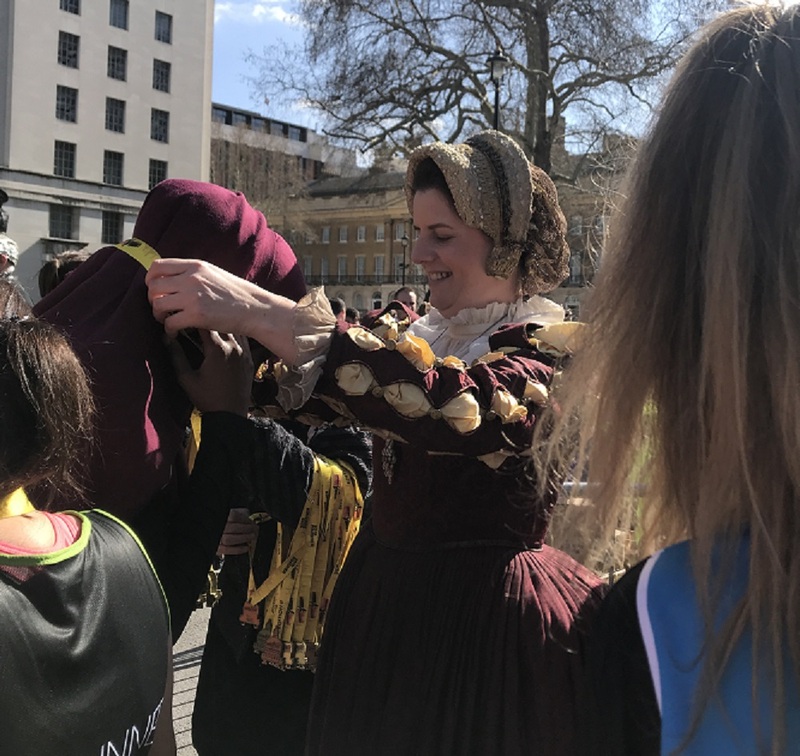 Runners were joined by an estimated 50,000 spectators, who enjoyed a day of music, London themed historical activations and family activities in the sunshine. 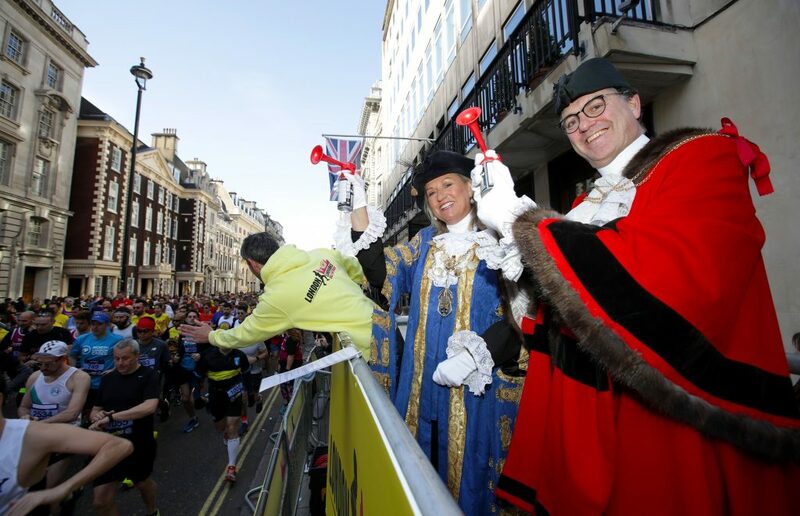 Other historical based activations, for both spectators and runners, were situated along the event route, including a Bowler Hat Send-off based at the start on Pall Mall, the ringing of the Bow Bells heard on Cheapside and a Roman Reception at Aldermanbury. Along with 180 charity cheer stations, including a Mary Poppins and a Monopoly-themed station could be seen along the route. 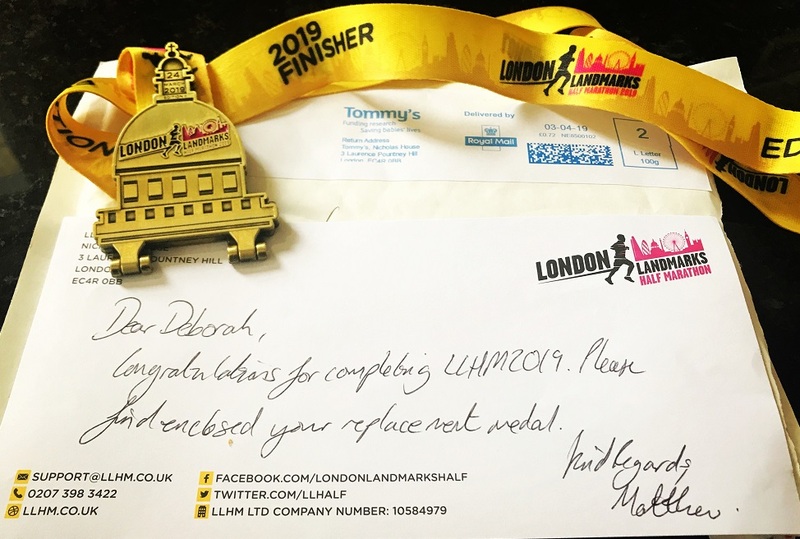 If you read my first article on LLHM in London Unattached you will know that I was keen to prepare properly and follow a training plan. Whilst I didn’t follow the plan to the letter the training went well. 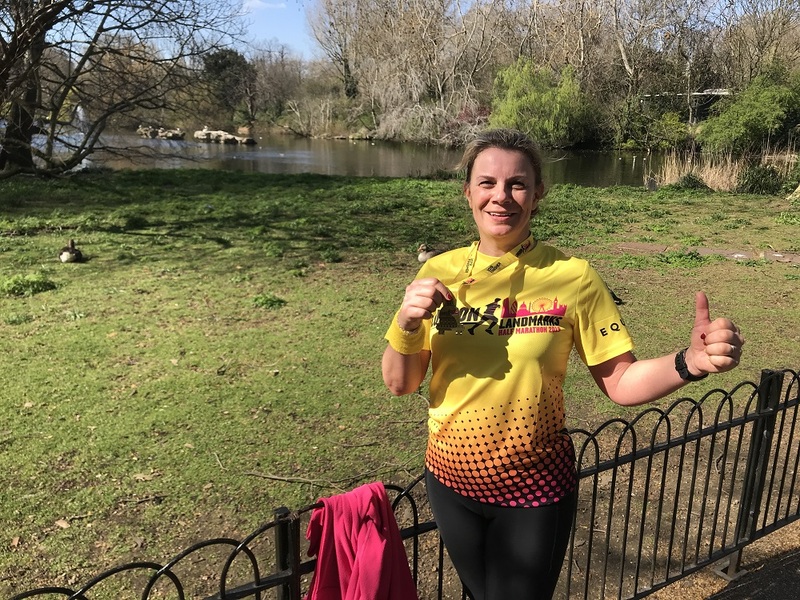 I didn’t have any injuries with the increased mileage which for me is good and shows I took the stretching, rolling and rest and recovery seriously. This really is such an important part of any sports and training programme. I had also been doing yoga regularly which has been such a benefit to my flexibility and core stability. A few weeks before the LLHM we had a sojourn in Prague. I needed to do my weekly long run so that’s how we did our first bit of sightseeing. It’s a great way to get around a new city and shake out those legs after a journey and plane flight. 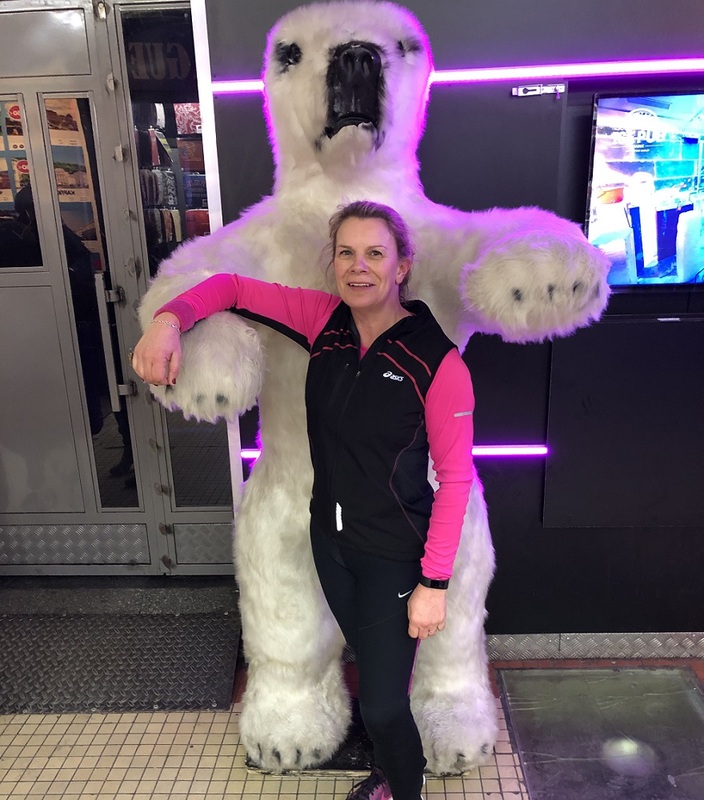 I wasn’t expecting to find a polar bear in the middle of Prague though! 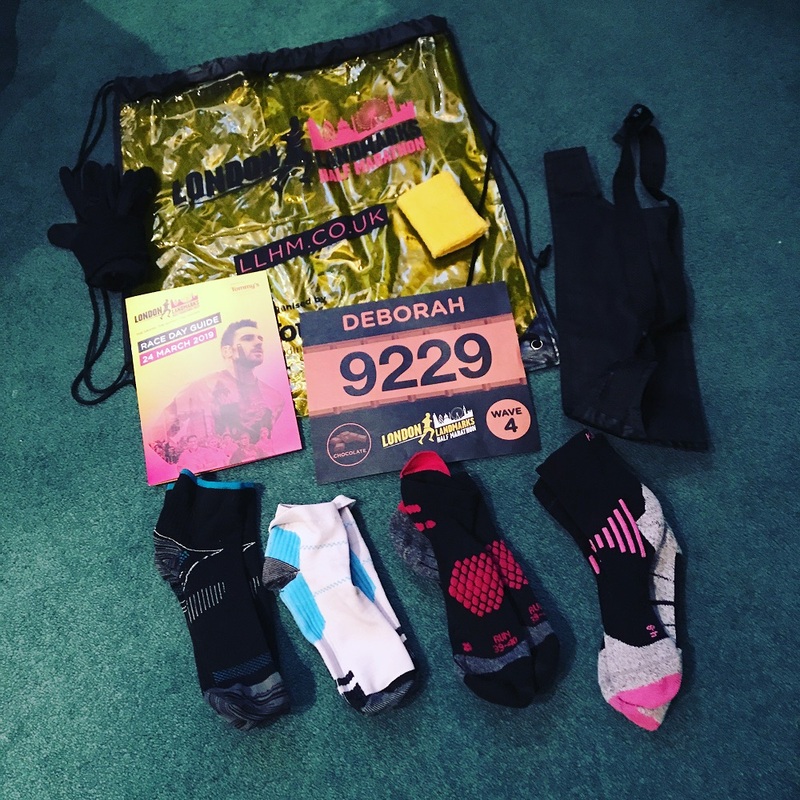 It had all become very real when I arrived home one day to find my bright yellow race pack on the front doormat. Excitedly I opened it to find a really good race pack, kit bag and technical race event T-shirt. I laughed to find I was in the chocolate wave! I do love chocolate! It led to lots of jokes and I whilst I will finish I may be a melted mess at the end. 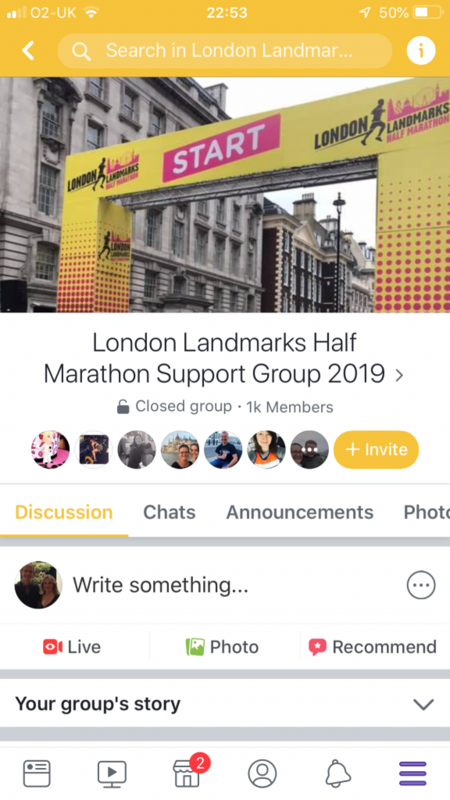 As the race neared there were lots of questions and comments on the Facebook LLHM2019 support group. It’s easy to forget how daunting it can be for newbies when you’ve taken part in lots of sporting events. The support group were so good at answering questions, providing advice. They were a constant source of support, encouragement and congratulations for others’ progress and achievements along the way. Soon LLHM 2019 was only a week away. The final preparation is all important. 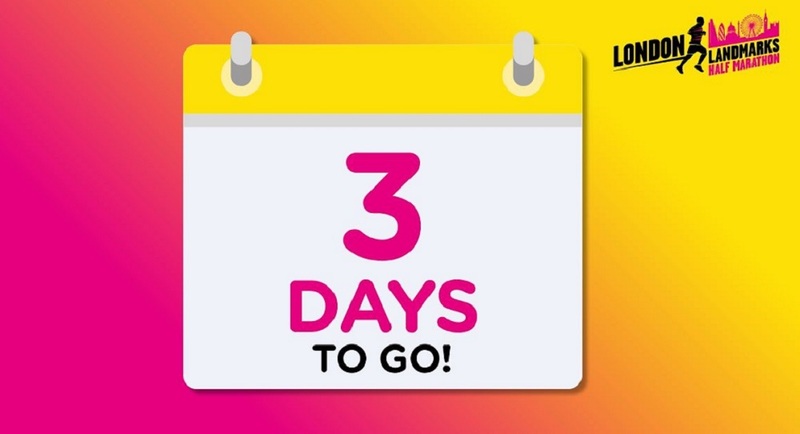 I loved the countdown messages from LLHM by email and on media sites. But, when you see this pop up the reality of what you are about to undertake starts to sink in. Kit preparation is all important. By now you will have tried out all the kit you are going to wear on the day. Fortunately, I had worn most of mine before and knew what would work for me. It can be a tricky decision though. There is nothing worse than finding out a few miles in that your socks rub. Socks had me deliberating. It looked like the weather was going to be warmer than expected and we had been experiencing recently. I prefer to run in the cold! I normally don’t run in the race t-shirt until after the race. But it is such a good one, so bright and perfect for the day decided I would. Another tricky decision is what you are going to carry. Over that distance, you will most certainly benefit from some extra nutrition in the form of gels. Most people also want to carry their phones so finding the right belt or similar that won’t annoy you or restrict your movement is important. The week before a big race part of the training programme is to taper up to the day of the race. This means to reduce the amount you run and rest the legs so they are not heavy and tired on the day of the race. So my last run was a gentle 20 minutes on Friday afternoon. 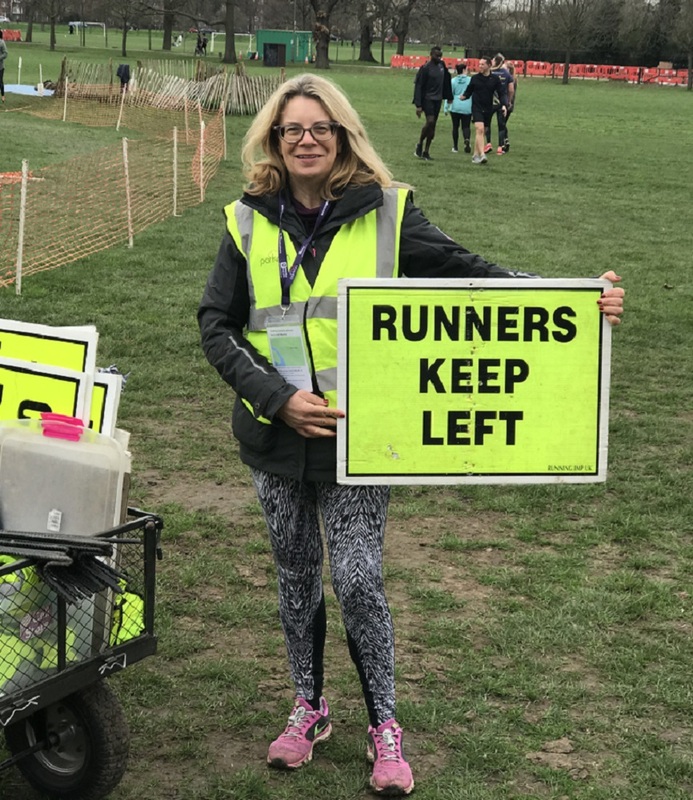 As I wasn’t running my normal Saturday morning Park Run I volunteered to help and had a great time marshalling. 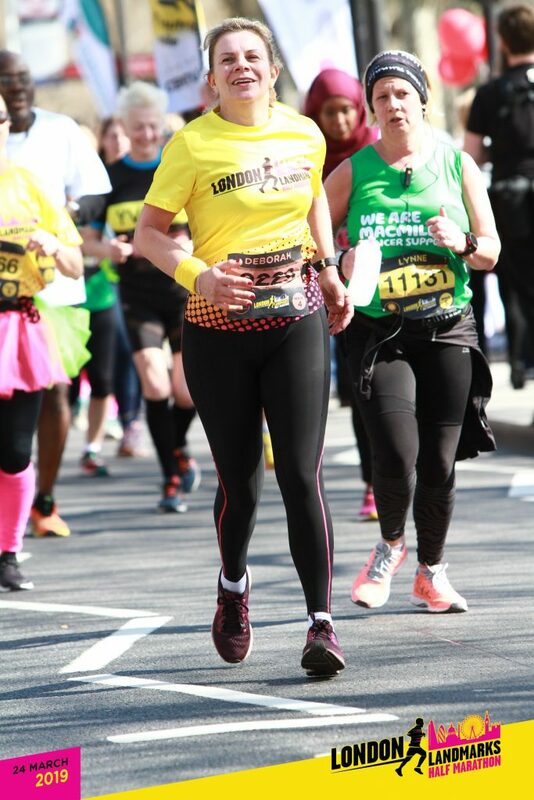 I knew that I would be enjoying lots of support from the spectators the next day so I gave it my all and chatted and cheered the runners on throughout. The day finally arrived. It was a lovely morning, clear blue skies and sunny. My husband, who was supporting me on the day, and I travelled the short distance by tube to Green Park and made our way over to the start. The race began on Pall Mall and finished on Whitehall near Downing Street. 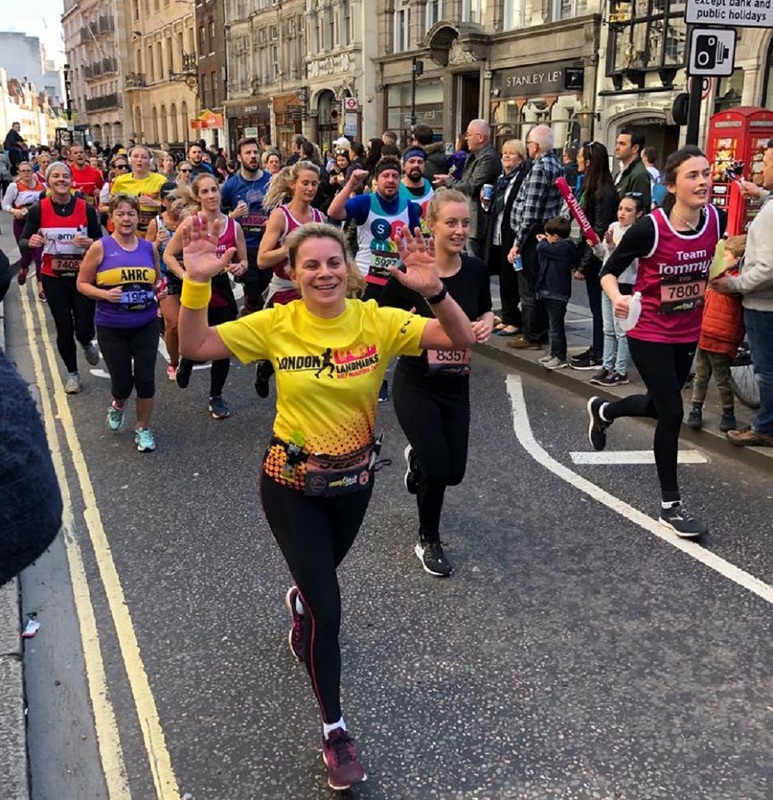 Britain’s Got Talent judge Amanda Holden joined 20 other celebrities on the start-line, including TV and radio presenter Jenni Falconer, fellow broadcaster Cel Spellman from BBC Radio 1, ‘Call the Midwife’ actor Jennifer Kirby and TV presenter and singer Cheryl Baker. 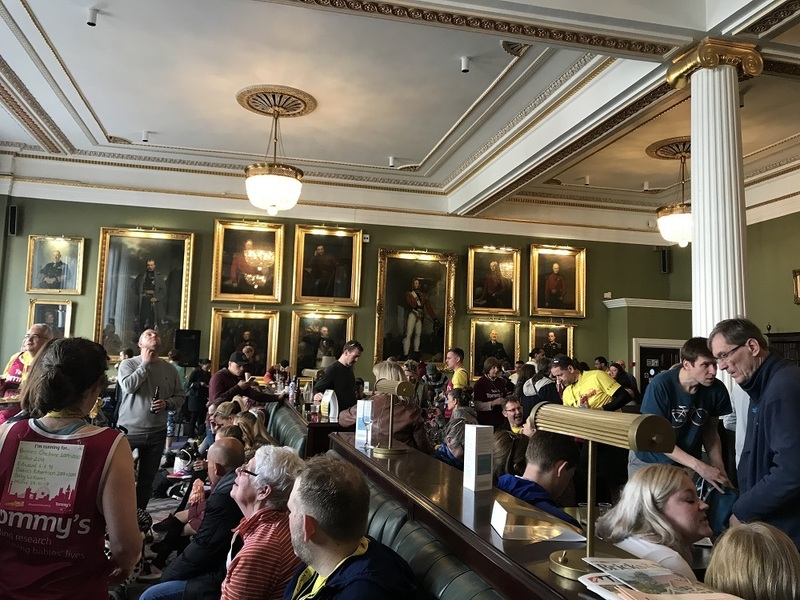 The event was started by The Right Worshipful Lord Mayor of Westminster Lindsey Hall who said: “That was one of the most fun ways to spend a Sunday morning and it really took me by surprise, the people just kept on coming. Thousands and thousands”. After the celebs and the fast runners went in the early waves it was time for the ‘not so fast’ runners! 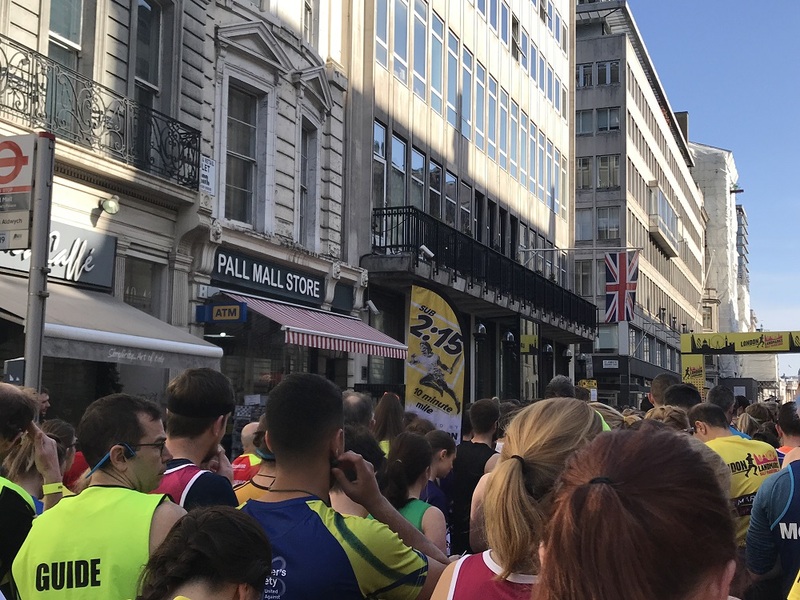 Thousands of us shuffled from our start areas along Pall Mall to the start line. Prior to the start, there had been a warm-up provided by Equinox. As you have been standing around for a while its good to get warmed up properly. The only part of the event that was a little strange was that the waves didn’t seem to work. Normally you are allocated a wave and start time and together this wave nears the start line and you begin with everyone in that wave. It allows the faster runners to go off with those of similar speeds to prevent congestion. However, everyone appeared to be mixed in together. By the time you are at the start the buzz and excitement of the event take away any concerns you have. Well, it does for me and I just want to get going and have a great time. That’s what all the hours and miles of training have been for. This is the fun part. 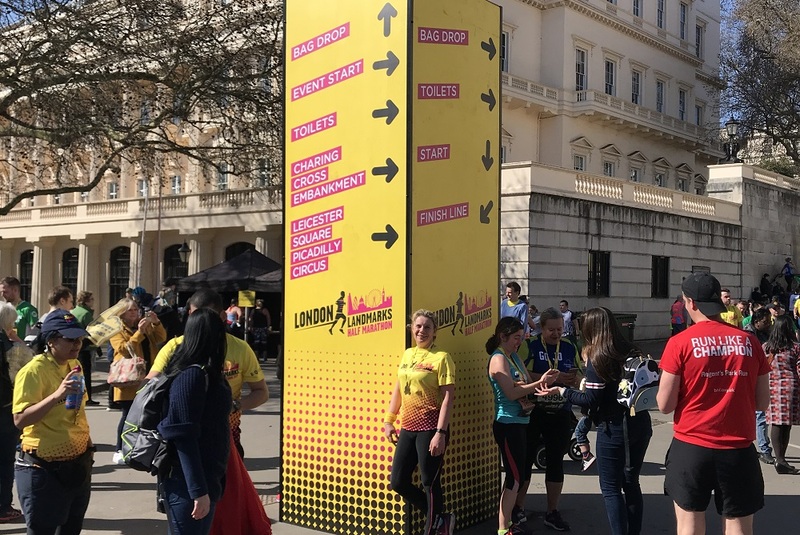 LLHM 2019’s 13.1mile route showcased some of London’s most iconic and amazing landmarks along the way including Big Ben, St Paul’s Cathedral, Nelson’s Column, the Gherkin, the Shard, the Tower of London and the London Eye. 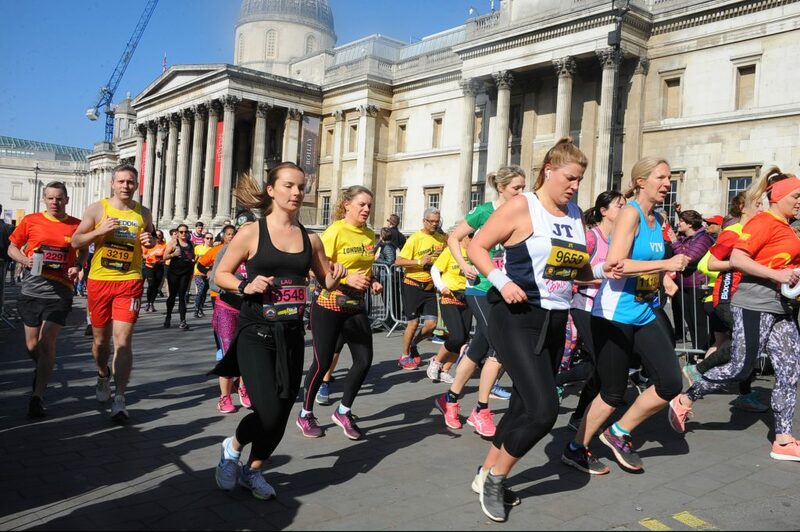 Mile 1 takes you past Nelson’s column, past Charing Cross and up to Holborn. Here we are running through Trafalgar Square and past The National Gallery. Everyone looks quite serious and determined at this early stage. I usually find the first few kilometres quite hard until I have eased into my pace and started to relax. After running past the Royal Courts of Justice you find yourself on Waterloo Bridge for the Mile 2 mark. 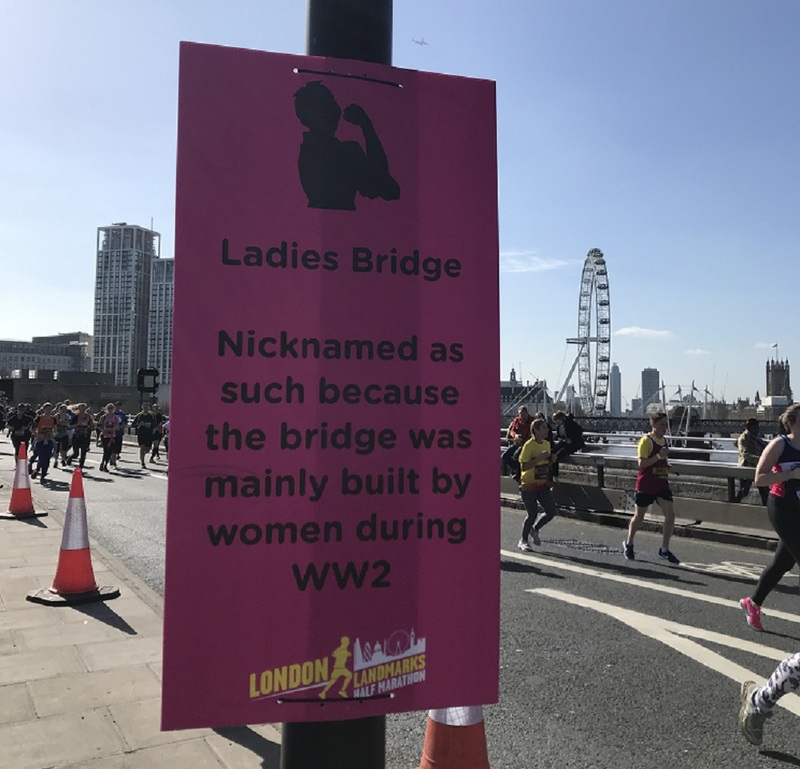 One of the less known facts is that Waterloo Bridge was nicknamed Ladies Bridge. It doesn’t matter how many times I look up and down the River Thames, it never fails to wow me with its iconic buildings and views. I think I lost some time here! After a short stretch on the Southbank, we double-backed on ourselves and returned to the north side. I was having lots of fun at this stage and it helps to smile. We reached mile 3 at Somerset House and then along the embankment, past Blackfriars and up to St Pauls Cathedral at just over 4 miles. After Chancery Lane at mile 5, you drop down to Fleet Street and back up to pass Chancery Lane again for mile 6. If you are lucky you spot the official photographer and remember to smile. This is a good stage as you realise you are nearly halfway through. I rather like this photo as it looks like I’m in the lead! Haha… or rather just a gap behind thousands before me. And I am smiling through the pain. I wasn’t expecting to get a toothache. It was really bothering me and it’s not something that has happened to me when running before.. At least it took my mind off my legs. I just had to keep going. Between miles 7 and 9 you are deep in the heart of the City of London. There are lots of twists and turns on the route and its difficult to get up a steady pace and avoid the crowds. One issue with a large event is that as people are all going at their own pace including walking you can get stuck behind people. All the moving around them means you add a fair bit more distance so your personal log if you are running with a sports watch, will show you have run more than 13.1 miles. On examining my run statistics after it’s clear you can easily run noticeably more than the 13.1 miles in the time recorded and I recorded 22.6km which is 14 miles. We ran through the Guildhall, past the bank of England and the Royal Exchange where I spotted something I’d not noticed before. They say it pays to look up in London – you never know what unusual sights will greet you from the rooftops. This is particularly true around the Royal Exchange, a grand trading house turned into a posh shopping centre above Bank station. A giant golden grasshopper perched high above the streets. 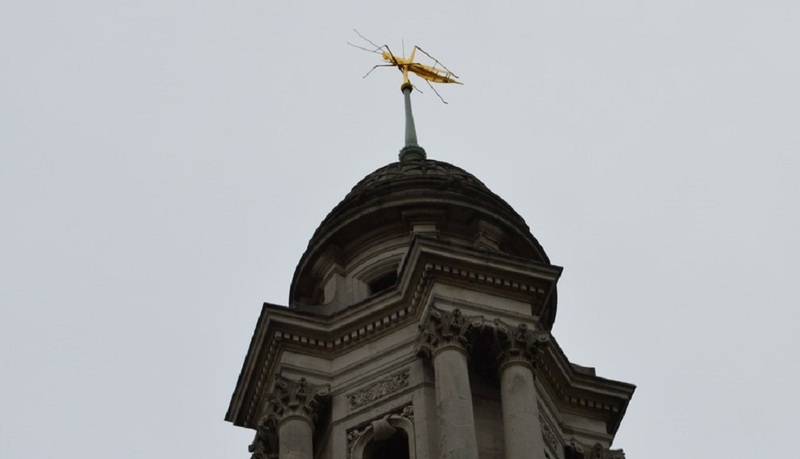 This is the Royal Exchange’s gilded grasshopper weather vane. This ancient insect has lorded over successive versions of the building since the mid-16th century. The grasshopper was the personal emblem of Tudor financier Sir Thomas Gresham (c1519-1579). 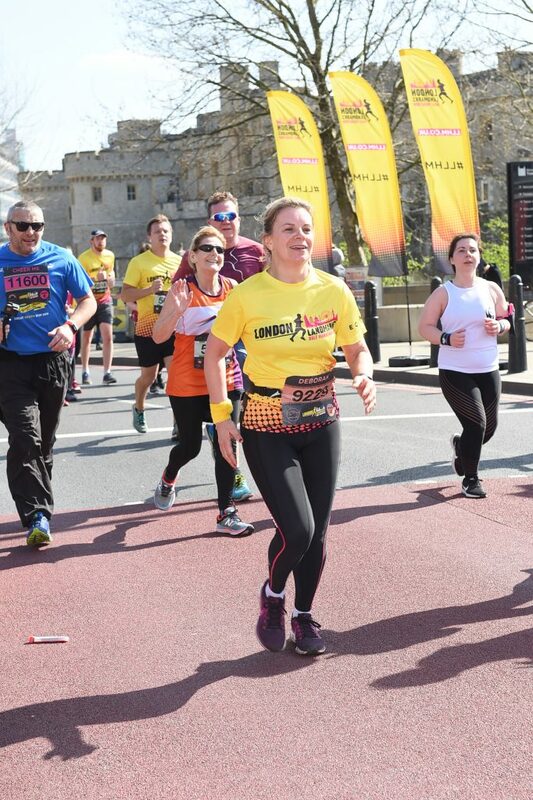 At Mile 10 you find yourself at The Tower of London. Always a special place for me as I used to work here. At this point in the race, I was also happy to have hit double figures with only 3 miles to go. However, I wasn’t expecting the last few miles to be so hard. I’d taken my gels at the right time and taken on water so had been feeling ok. I think its partly because the final stage is a straight run down Embankment. I realised I’d left my extra gel with my husband and by this time, I did need it. After getting my text he managed somehow to find me on the embankment somewhere between miles 11 and 12 and pass it over. This meant that if he was going to see me at the finish line he’d have to run too! He darted off to cut through to the finish. There are so many people of different ages and levels of fitness taking part, each one of them with their own story. A large number are running for charity, often inspired to do so by someone and something that they are connected to. For me, it’s the stories and the money raised to help others that makes this event so special. Knowing that helps you keep going. My last challenge was to keep the 2:30 pacer behind me having let go of my 2:15 time sometime earlier. Here he is just behind me, I think! 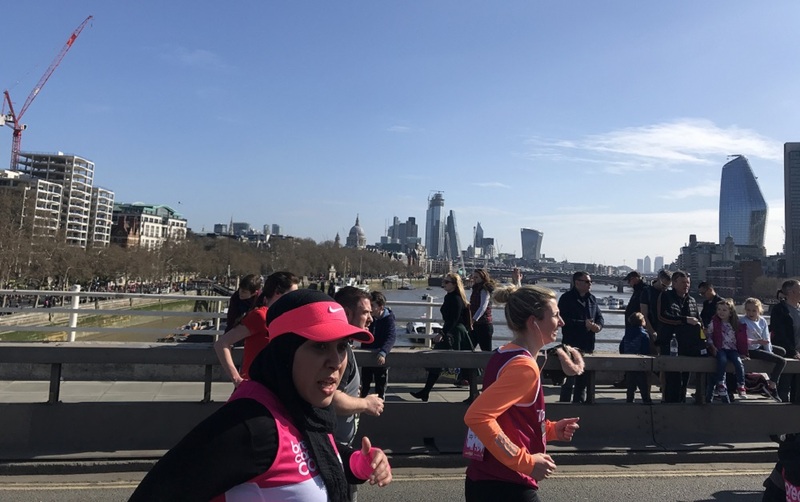 The last mile of the route takes you right up to Westminster Bridge and Houses of Parliament before doubling back to turn up towards Whitehall. And that last mile seemed to go on forever. With Mile 13 and the finish line in sight, the adrenaline takes over. I started to pick up the pace. It’s always a mystery to me how I always manage to sprint the final metres despite finding it hard to keep going only a mile earlier. A long time earlier a new course record had been set at 1.08:14. Well over an hour quicker than my own time and many, many others. But, the reality is it doesn’t matter how long it takes. It’s a win for every person over the finish line. An amazing achievement and part of each and every one of the 13,000 runners’ personal journeys. 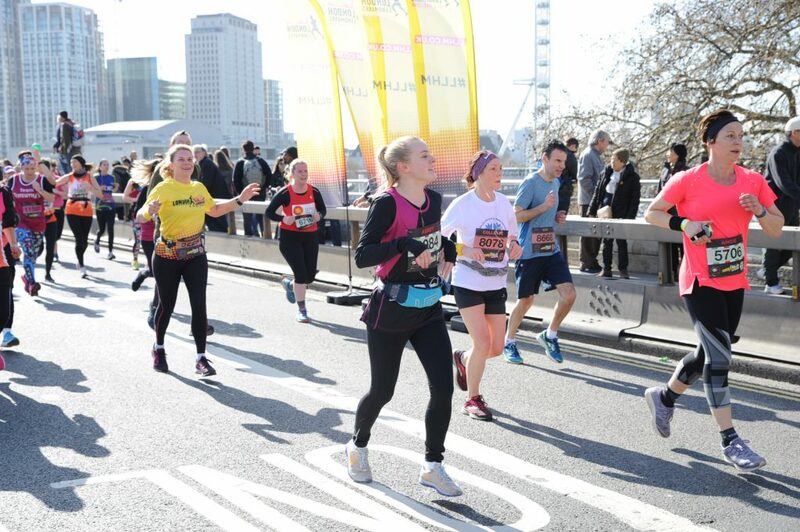 This is me flinging myself over the finish line. And when I got my time I was very pleased I pushed for those last 30 seconds. My official finish time was 2:29:32. Medals are presented by important people such as Chelsea Pensioners, celebrities and people in costumes of historical characters. 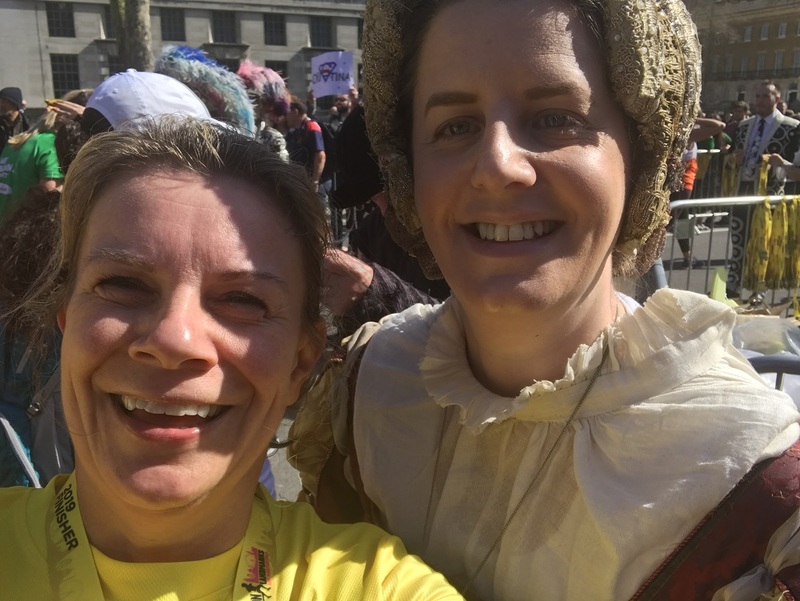 I was given my medal by this lovely lady in period costume. I’m assuming she was one of the ‘Queens’. I was very happy to have that medal around my neck and to have finished with no mishaps. As we walked through the finish shoot we were passed water and an Eat Natural bar which was most welcome and quickly devoured. 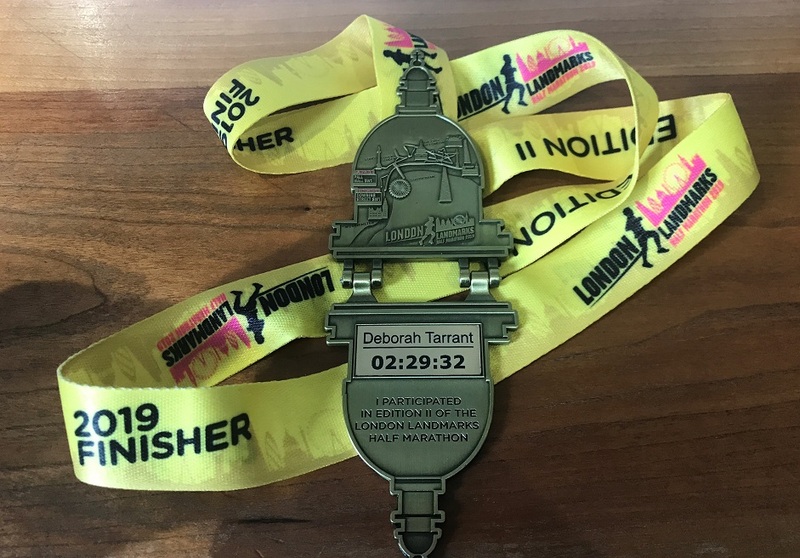 We were also given a yellow sweatband with an LLHM badge on it. Having met up with my husband, after a hug (and some pain killer for the tooth!) we kept walking. 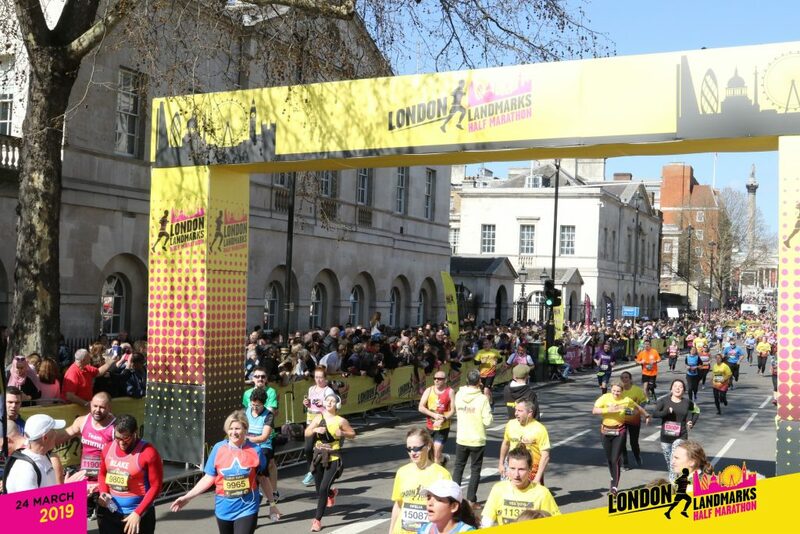 What a beautiful day for the LLHM and London was looking splendid in the sun with runners spilling out everywhere meeting up with friends and supporters. We took a stroll into the park to wind down! My husband had my stuff so I hadn’t needed to put my kit bag in the bag drop. While it’s always better to have a friend or family member on hand, having walked past the bag drop it was exceptionally well managed and there was no queue to collect your kit after. The whole event was extremely well organised with clear signage and information before, during and after the day. 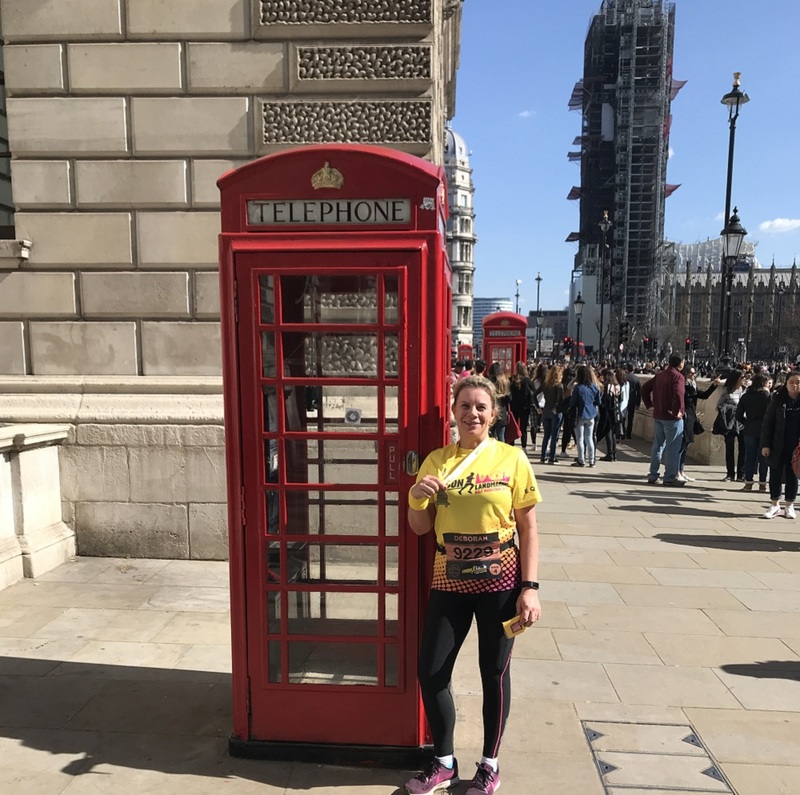 London was busy from the LLHM but also with tourists so I had to wait for this picture with a traditional London telephone box, which are rather few and far between now. We headed to the Institute of Directors for Tommy’s Charity post-event party. Having spent time at the IOD for business it seemed strange to see it full of runners and their friends and families. 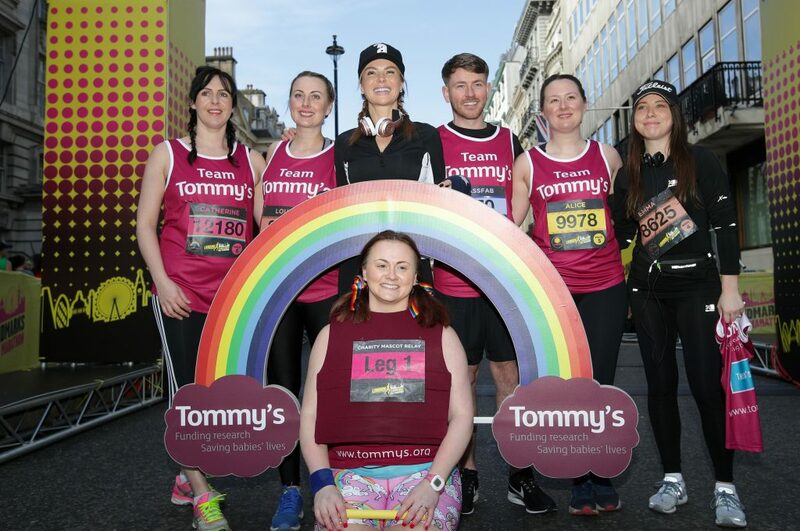 Team Tommy’s had laid on refreshments and free massages – the perfect way to ease my legs and help their recovery. Many of the charities provide support and post-race events. The organisers had also arranged offers with local bars and restaurants so there was a party atmosphere in lots of places. 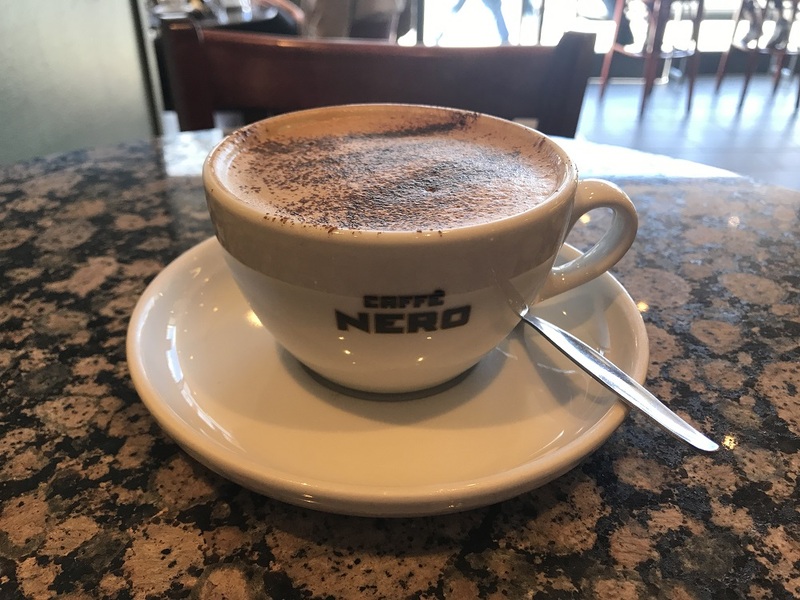 One of the perks was a free coffee from Café Nero which I didn’t have on the day. It’s the event that keeps giving – I enjoyed my free coffee on Monday when I went for a recovery walk. 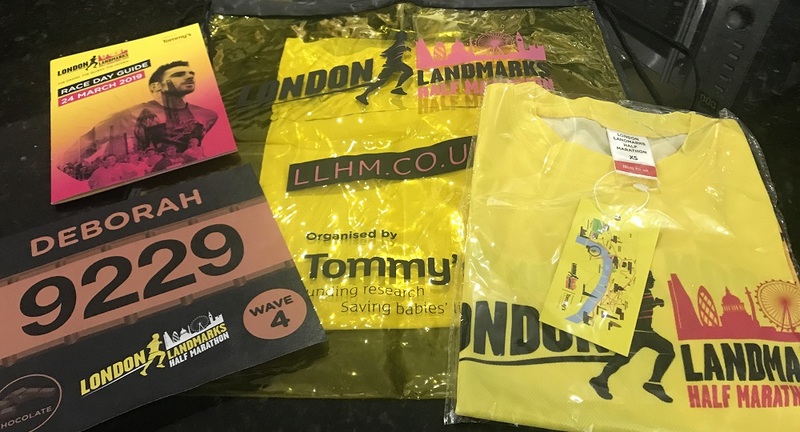 I’m really grateful to have been able to run LLHM 2019 for Tommy’s Charity as a media place for London Unattached. I’d all but given up the idea of running another half marathon but LLHM was the best and I’d definitely take part again. I was upset when I opened my medal to put my ITAB in as the top of St Pauls’ snapped off! I didn’t need to worry though as Team Tommy’s came to the rescue again and sent a replacement right away. I now have my new medal complete with ITAB which makes it more personal. 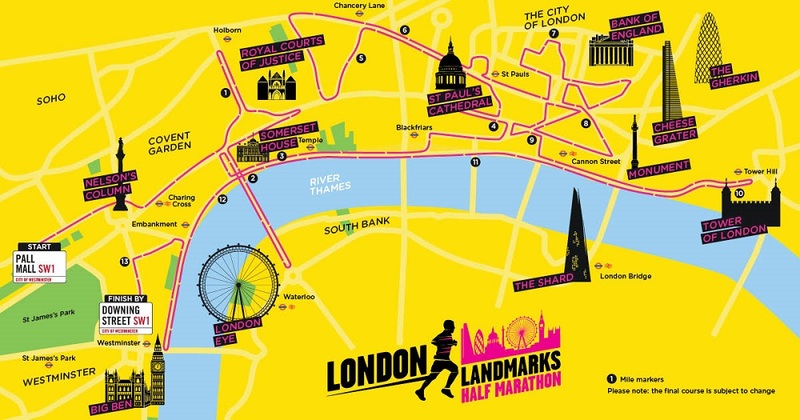 The medals are super special and each year will be a different London Landmark. I’m going to keep the running up now. 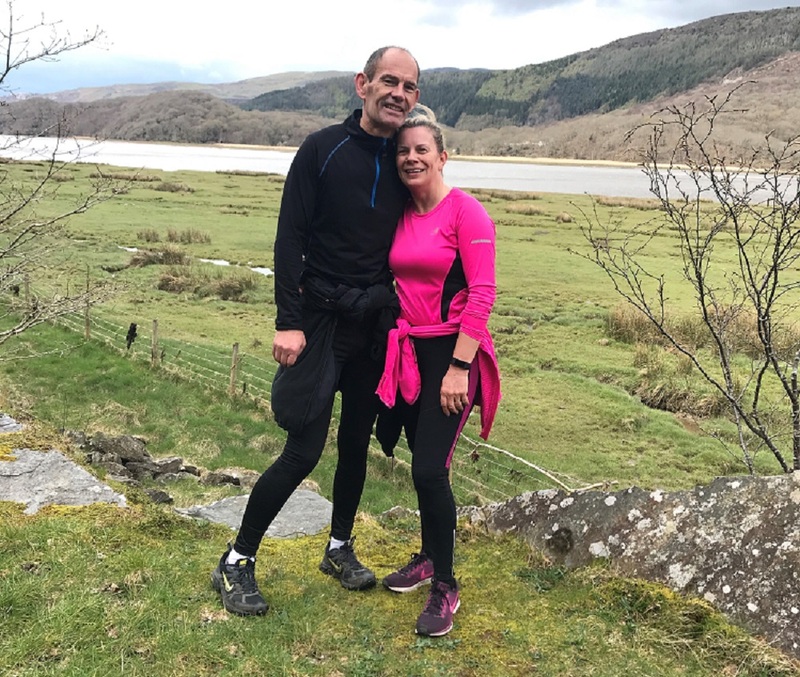 I did my first long run of 10 miles since LLHM in the beautiful countryside of Wales this weekend. It’s good to run and chat along the way with friends and family. I’m also grateful to my husband, Peter, who is my unswerving support in everything I do. It felt great to be out running again and before the event, I wouldn’t have thought to run that far unless on a training plan. I certainly feel fitter again. 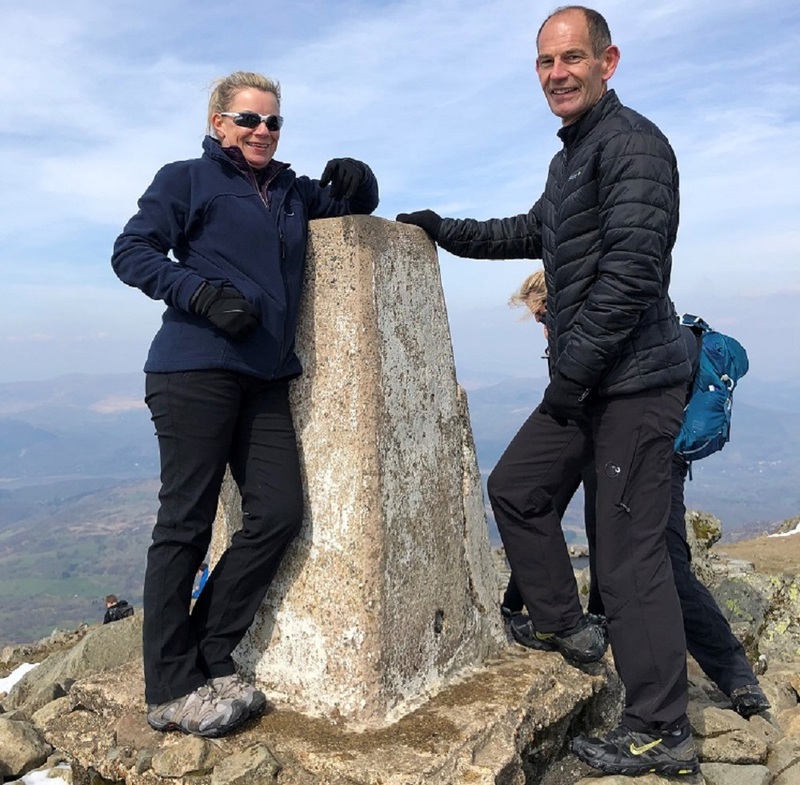 Not only that but we also climbed Cadair Idris and felt on top of the world. 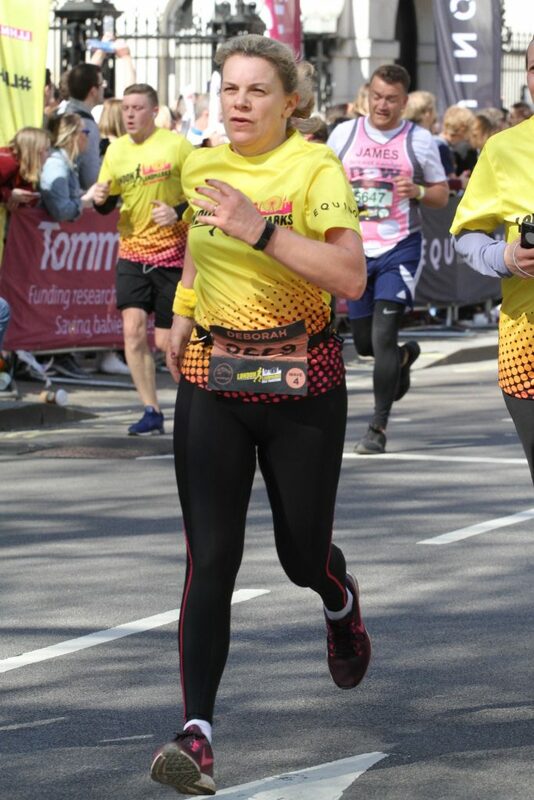 Running a half marathon may seem like a massive mountain and a tough journey of training but the feeling and achievement at the end is so worth it. So if you’ve been inspired why don’t you pre-register for a place in 2020? If you aren’t able to take part you can still help great causes by donating to a charity or volunteering for next year. My own JustGiving page for Tommy’s Baby Charity is still open if you want like to give a little.